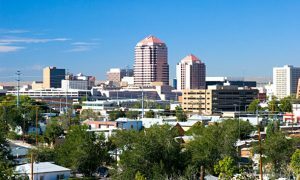 Moving from Philadelphia, PA to Albuquerque, NM? Albuquerque is a major American city with a population of well over half a million people. It is a unique city in the State of New Mexico with a rich history and culture. It also boasts great scenery and outdoor activities. Visiting Albuquerque can be an unforgettable experience. Of course, some people decide to make this city their home. If you need to ship a car from Philadelphia, PA to Albuquerque, NM, our company will be glad to help you! There are almost 2,000 miles between Philadelphia and Albuquerque. A road trip between these cities would take at least 27 hours. You can imagine how much you would have to pay for gas if you were going to move your car on your own. Additionally, the trip would add 2,000 miles to your car’s mileage. To avoid all this, you can use Albuquerque car shipping from Philadelphia – a great way to avoid unnecessary expenses and stress. At Philadelphia Car Transport our goal is to make our client’s relocation easier and more affordable. We will ship your vehicle door-to-door from Philadelphia, PA to Albuquerque, NM safely and without any worries for you. Our company provides a full range of Philadelphia vehicle transport services for all types of vehicles. Our team will move your car fast and will follow all safety regulations. You can rely on us for the safety of your vehicle! Get free quotes on shipping a car to Albuquerque from Philadelphia. Quotes are available by request through our website or over the phone during business hours.